"To explore, enjoy and protect the wild places of the Earth; to practice and promote the responsible use of the Earth's ecosystem and resources; to educate and enlist humanity to protect and restore the quality of the natural and human environment; and to use all lawful means to carry out these objectives." The San Francisco Bay Chapter is the local branch of the Sierra Club, America's largest and most effective grassroots environmental organization. The Bay Chapter is comprised of the nearly 40,000 Sierra Club members who live in Alameda, Contra Costa, Marin, and San Francisco counties. The Bay Chapter has a rich and vibrant history of environmental leadership going back to our founding in 1924. We have played a big role in shaping the Bay Area that you know and love. With your help, we can continue to preserve open spaces, expand parks and public lands, minimize our impact on the natural world through smart urban planning, and establish the Bay Area as the world's leader for clean renewable energy generation! 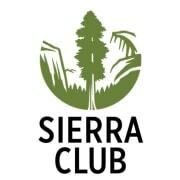 Would you recommend Sierra Club San Francisco Bay Chapter?